Kanaga Mask. Dogon. Mid 20th century. Wood, plant fiber, paint, hide with fur. Gift of Dr. Jay S. Friedman. Photo by Bruce M. White. 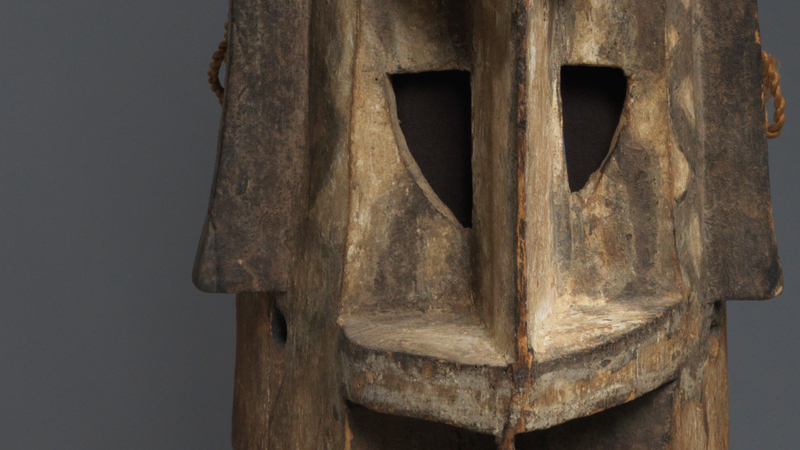 While preparing a Dogon Kanaga mask for exhibition at the Carlos Museum, former Andrew W. Mellon Fellow Ashley Jehle discovered clues to the object’s original construction. Informed by careful examination of the object, research into its use, and consultation with the curator, the conservation treatment improved the object’s stability and appearance.